"You guys are killing me over here!! 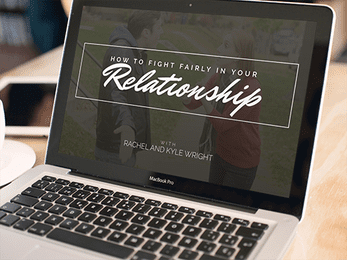 I am only 10 minutes into the "How to Fight Fairly in Your Relationship" Masterclass, and my mind is blown! You've just addressed an issue that I have been struggling with for years. I had NO idea that nearly 70% of problems are unresolvable!!! I know it's a little early to tell, but I believe this information has just changed my life!!" "I now understand why my boyfriend and I keep arguing over the same thing. I'm very excited to try the techniques you taught. Also, I'm going to make him watch it. LOL. Thank you Kyle and Rachel!!"